Release: 01/03/2009 Product: Audio CD / Jewelcase Number of Discs: 1 Label: MONS Records Musicians: Jürgen Hagenlocher «“Tenorsax Alex Sipiagin «“ Trumpet Dano Haider «“ Guitare Thomas Bauser «“ Hammond Orgel Jörg Eckel «“ Drums ..
"This recording, «œConfusion«, by tenor saxophonist Jürgen Hagenlocher, is a well-conceived, superbly arranged and soulfully executed venture. 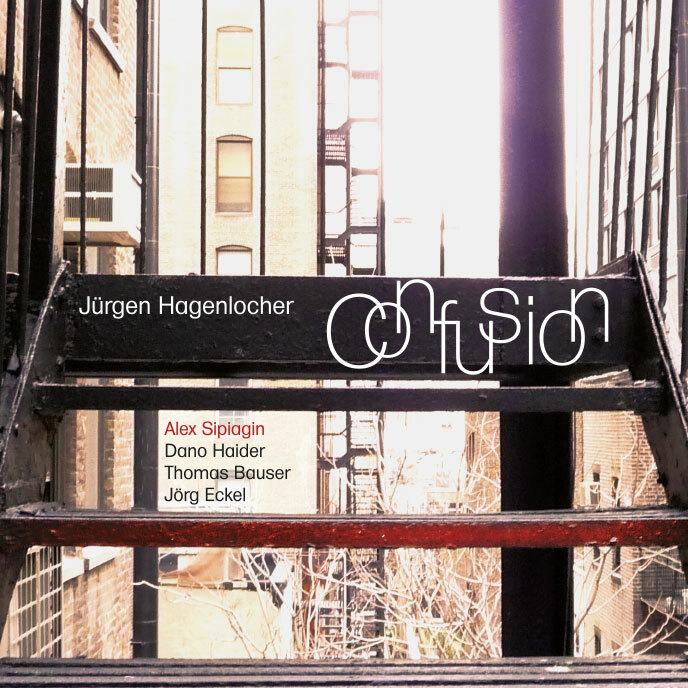 Hagenlocher has brought together a group of musicians who are up to the task and who join him in breathing life into his compositions and arrangements. There is a palpable «œsimpatico« to this quintet. Trumpeter Alex Sipiagin draws clean, intelligent, energetic lines; guitarist Dano Haider aids and abets the forward motion of the music; organist Thomas Bauser grooves and turns «“ one moment flighty, the next funky «“ and carries the band along for the ride; drummer Jörg Eckel is solid, clear and loose at the same time. Hagenlocher himself leads the pack with his strong melodic ideas, fluid technique and poignant sound. As a listener, I really appreciate the musical offerings, reminiscent of the classic 60«™s- and 70«™s-era modality, yet spoken in the present time. I highly recommend this CD to any jazz fan who digs musical excursions that sound exploratory AND spontaneous. Lastly, the title must be tongue-in-cheek, because there«™s no «œconfusion« here."